Highlander requires all students to wear uniforms Monday-Thursday. 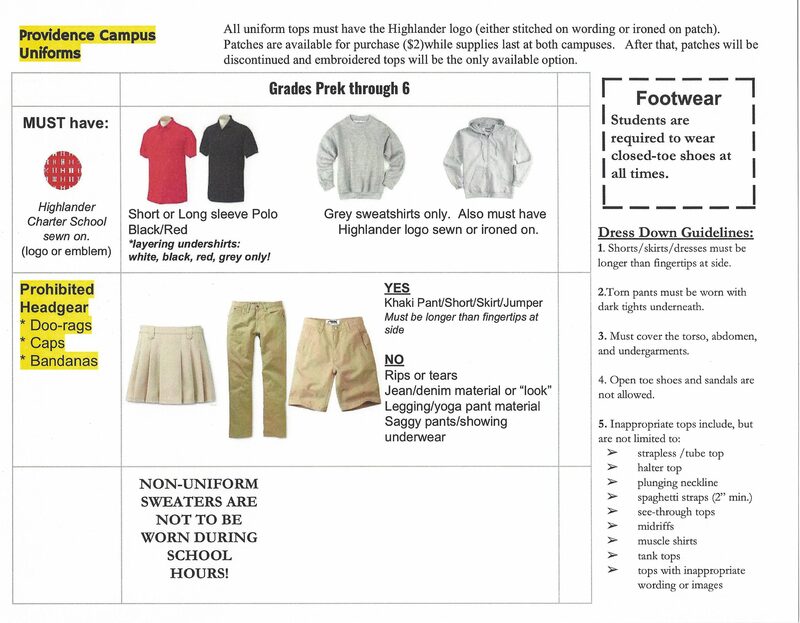 Students are expected to wear clothing that meets the Highlander dress code (see table below). Clothing must be neat, clean, in good repair, and appropriate at all times. Approved Highlander uniforms are available through Allen's Uniforms or Lands End. Iron-on Highlander logo patches are available for purchase ($2 each) at the Providence and Warren schools and must be sewn or ironed on to approved color polo shirts.